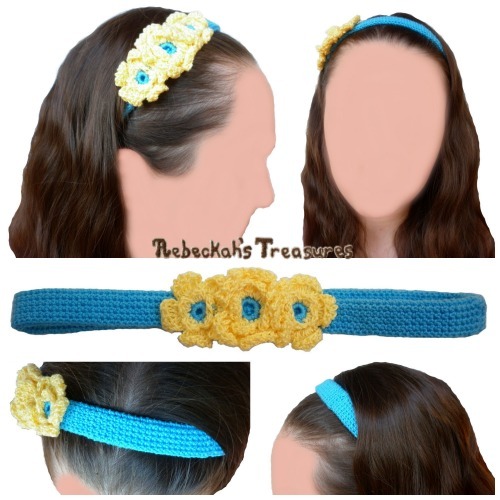 Now you can crochet the 3 original spring scrunchies from the 1st Volume of Crochet Scrunchies by Rebeckah's Treasures. 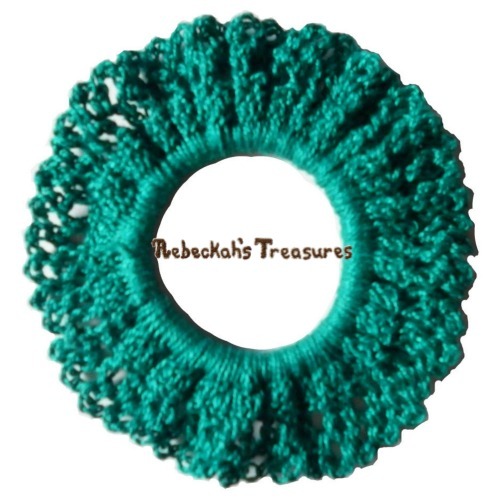 Not only are these scrunchies super fun to make, they can easily be customized with beads to add that extra flare, and the patterns are really flexible as to the yarn weight and hook size you can use. These scrunchies make the perfect quick gift as they only take up to a few hours to make. Purchase the Complete Volume of 12 Scrunchies for $3.00 instead and SAVE! Instructions include how to crochet each of the 3 unique scrunchies pictured. All scrunchies are worked in the round onto a ponytail band. These ones are worked in two or three rounds. This PDF formatted pattern has 5 pages (2.1MB), is in a PDF format, and uses US Terms. 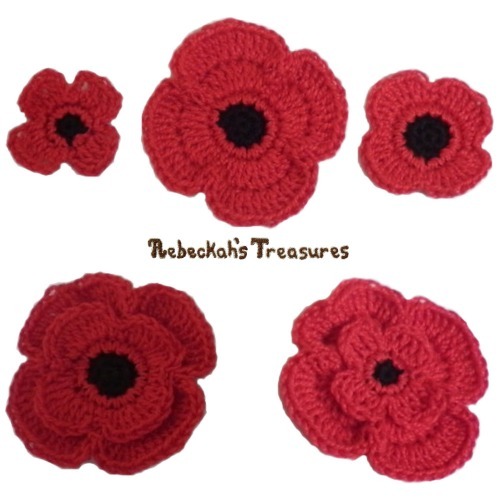 Each of the following scrunchies is about 4" (10 cm) in diameter if you use thread and steel hooks. It will be thicker / wider if you use yarn instead.